random idea: maybe some ricochet mechanics? Have you tried raygun? Or did you mean something else? Oh, here it is! I've missed that. I guess I didn't have anything exact in mind but the raygun seams to be it : ) great work! I hope I can use this in rpg maker! Thank you for the assets. I have used them in my game. I have given attribution to you in credits of my game. Check it out here. Its a game made by a noob developer but hope you enjoy anything from it at all. Thank you again for the wonderful assets. Nice project, but still very alpha, I'm glad you share stuff in so early stage (they say it's good to do so). If I can have one suggestion - work on the physics variables - I feel like greater (I like infinite but obviously up to the game designer) acceleration would make the game more responsive. Thank you for the suggestion. I didnt want to increase the game acceleration as the player object is already decently fast and anymore speed would make it too difficult to stop the speed as there is this sliding effect in the game. I could change it though but I mainly used it to learn all about this game development better and I seem to have gotten a lot better now. Though making games more responsive by increasing acceleration surely seems interesting and my next simple 3D project is gonna be based on that. Thanks. Sure of you can. hello 0x72, i want make a game but i don´t know draw (sprites), we can make a game together? Hi there! Thanks for the offer, but no time recently. However, you are free to use my sprites any way you like (CC0). I'm using and recommend aseprite. I used your tile set here https://auer.itch.io/handy , was a great help in finishing my first game. Nice prototype (although short, but well, it's a prototype :D)! Looking forward to see more puzzles and levels. 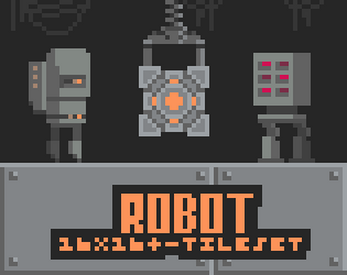 If you need something specific in the tileset let me know (just not too much at the same time). And thanks for adding me in the credits, much appreciated! Fantastic art! 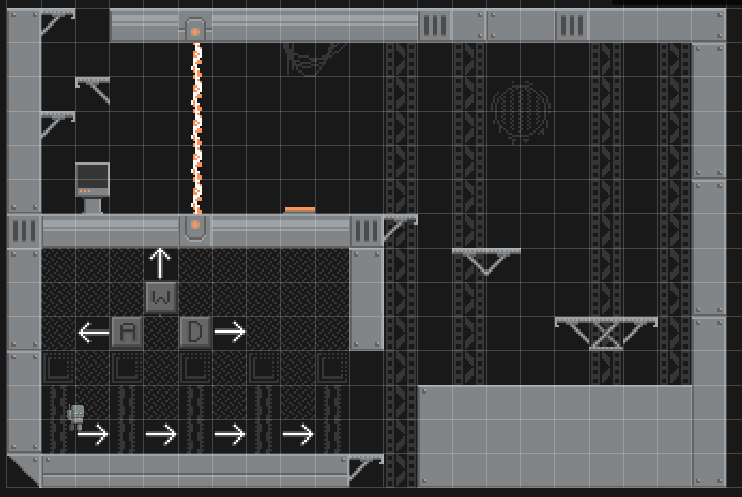 I'm working on building a small puzzle platformer with it to learn the new tilemap system that unity has released and will comment the link for you when completed. Thank you I have been learning much in the process due to having your wonderful asset.